It gives me great pleasure to introduce a fellow member of Mystery Authors International George M. Nagle. Welcome George! If you like a good mystery with a dose of romance then read on…..
NF: I hear you have a new book soon to be released? How exciting! Can you tell us a bit about it? 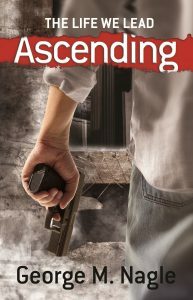 GN: The Life We Lead: Ascending is just the first in a series of what should be three books. At 425 pages, it is the shortest of the series and really the introduction to James, the group, Carissa and a whole cast of others. The Life We Lead follows James, the main character as he battles criminal syndicates while trying to have a normal life. It is inspired by real-life events, however, names, places, timelines and such have all been altered. This story has been 25 years in the making and certainly won’t disappoint with an incredible ending to the series. It is based on the reality of spying, so the far-fetched gadgets and such like those found in James Bond won’t be appearing. It is a spy novel has lots of twists and turns that can make you laugh, cry, feel the characters outrage and even love. The subtitle of the book is a clue to why it ends where it does too. NF: Wow, it sounds right up my street. 25 years is a long time, that’s a lot of research! Can you tell us a bit about the story? At only 21 years old, James is the most skillful member of this society. His new target is the Spara family. Through their relationship with Russia, the Sparas are the largest distributor of heroin in the world. While beginning his investigation in Russia, James inadvertently saves the life of a former KBG officer who has a connection to the Tan family. This connection leads James farther into the heart of the criminal cartel. However, the Tans have a dark secret of their own, which could jeopardize James’s perfect record and his tenure as a spy as he struggles to do what is right while protecting his family, friends and the love of his life. “You are our prisoner, but you are a captive of whatever group you…” Daen began, but Nikolias cut him off. “What makes you think I want to leave?” growled Nikolias. “When you help us, your bosses will not be too happy with you. You and your cousin will need to leave to survive,” replied Daen. “So he says,” Nikolias said curtly, with a head gesture towards James. “What did he say? Why did he just do that?” asked James. “Sounds like he doesn’t feel the need for our help. It seems he doesn’t want to, or have a reason to leave,” Daen replied, a puzzled look on his face. “I am no traitor, and I will die to help our fraternity and country. I am loyal and believe in things, unlike you American dogs,” Nikolias stated in English. James bowed his head, closed his eyes, and rubbed his left temple for a moment with his left hand. He dragged it down his face before speaking again. “Okay, tell us what the fraternity’s cause is. What’s so special about it that you’re willing to risk your life, your cousin’s life, because someone felt I disrespected them near a train?” asked James. NF: Thank you so much for joining me today George, it has been a real pleasure. If you too have been taken by ‘A Life We Lead: Ascending’ then grab yourself a copy – It will be released on September 26th in all versions. Buy links are below. Here’s wishing you every success. George is the 3rd of 6 children and grew up in western Pennsylvania. 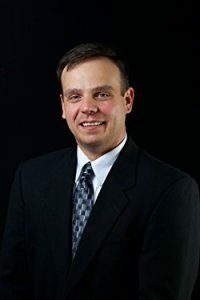 He earned his BS in Biology from the University of Pittsburgh, his MSc in Biology and his MBA in Marketing and Management from Duquesne University. He is also a Master 5th degree black belt in the art of Taekwondo with Young Brothers in Pittsburgh. He currently in a global marketing and strategy professional in science industries. He also has one son, Matthew. Enjoyed the snippet. What sort of research did you do for the storyline? Good luck with the release.